The University of Hartford is pleased to announce Alexia Woodruff of Livonia has been named to its Dean’s List for Fall 2018. 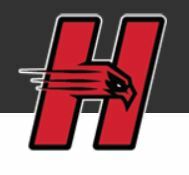 Spread across seven dynamic schools and colleges, the University of Hartford has been guiding the purpose and passion of students for over six decades. On the 350-acre campus alongside Connecticut’s capital city, approximately 5,000 undergraduate and 1,800 graduate students from 48 states and 46 countries come together for a common purpose: to collaborate across different disciplines, diversify perspectives, and broaden worldviews. The University of Hartford is a four-year private university focused on advancing the public good through meaningful connections within our communities. The unique approach to comprehensive education gives them the critical perspectives that lead to impactful change, regionally and beyond. With degree programs spanning the arts, humanities, business, engineering and technology, education, and health professions, the focus is on doing the work that matters.